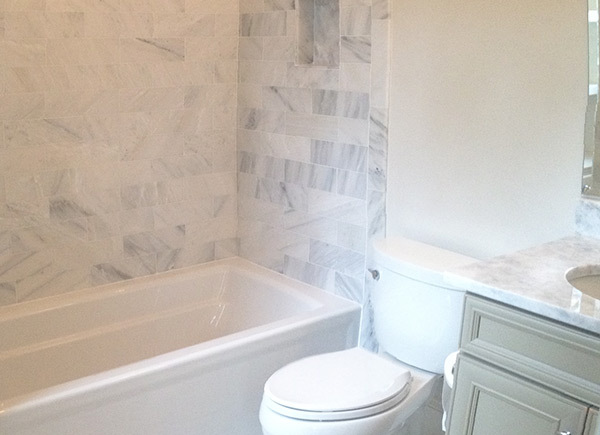 After an improper installation (by another contractor, not us), the contractor attempted to do repairs using the wrong methods, making a bad situation even worse. Many of the newly installed surfaces were scratched and construction dirt and grime were apparent in the grout lines. 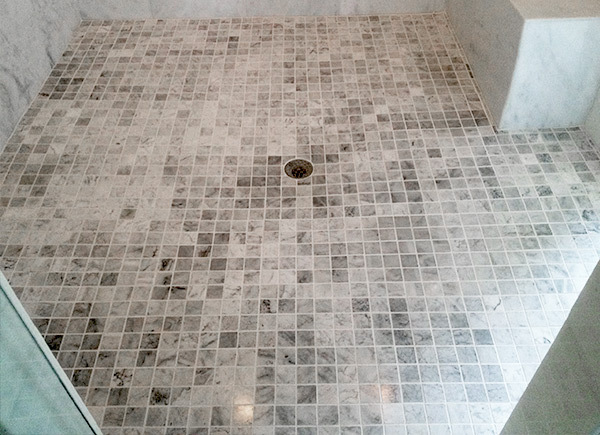 The tiles were unevenly laid (in the stone and tile industry this problem is called lippage), which resulted not only in the floor having an unsightly appearance, but posing a potential trip and fall hazard. 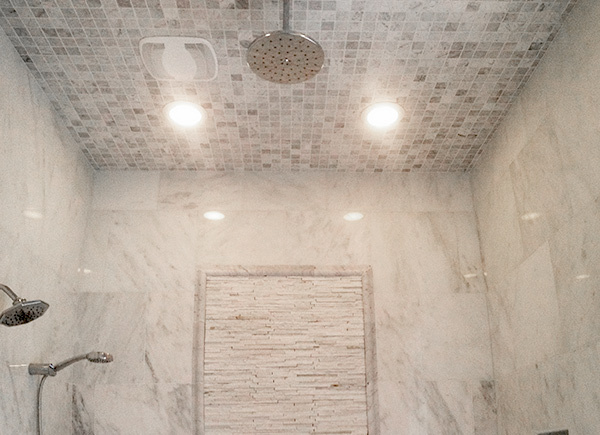 The contractor tried to clean the grout lines with acidic cleaner and sand paper, not realizing that acidic substances and the calcium in the stone would have a chemical reaction called etching, which actually roughens the smooth surface of the stone and leaves white marks. The sandpaper scratched the edges of the stone along the grout lines. 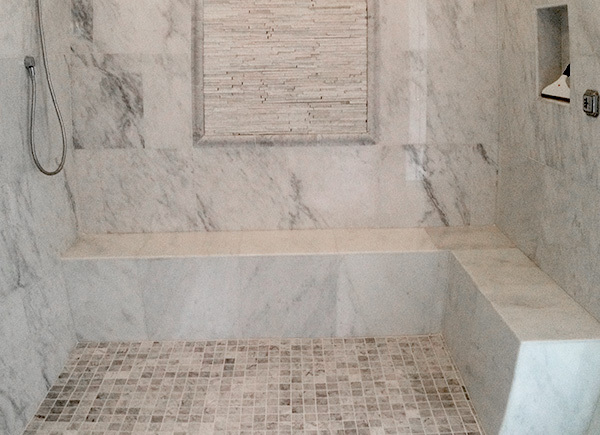 To level out the uneven herringbone marble bathroom tiles we ground the stone down using aggressive grit diamonds attached to a powerful floor machine. 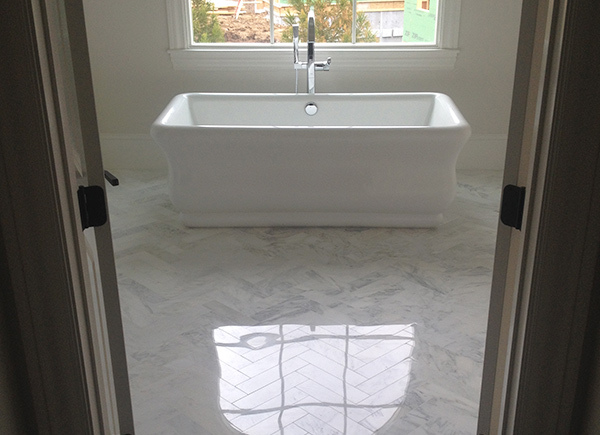 Once the floor was level, we honed and polished it to restore the glossy shine, and finished it off with a coat of marble sealer. 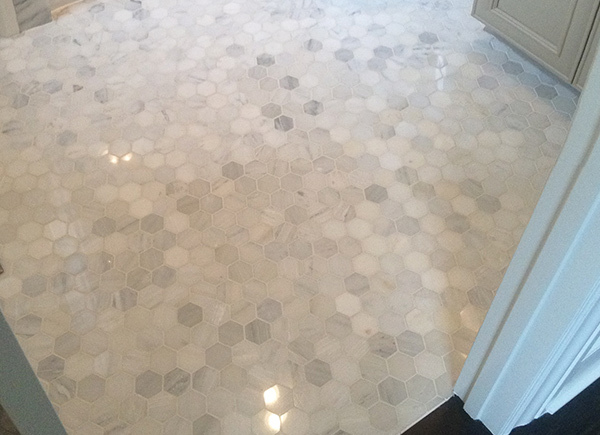 To remove scratches left behind by the installers, we honed, polished, and sealed the hexagon mosaic marble tile bathroom floor, the Butler’s pantry countertop, and the mosaic tile shower floor. By the time we were finished the brand new home actually looked like a brand new home. The new homeowners were very pleased with our work. 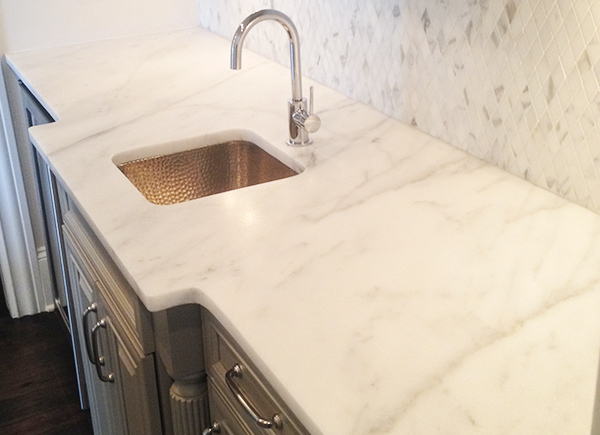 For more information about marble restoration, visit our Marble Services page.